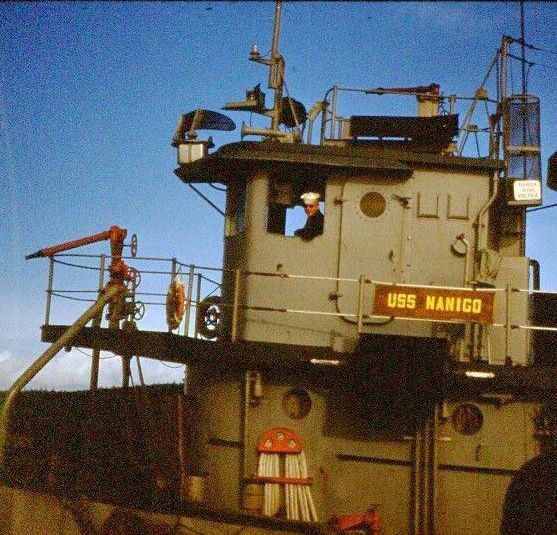 62k Nanigo (YTB-537) moored outboard of Cholocco (YTB-498) at Naval Station Adak, Alaska, date unknown. 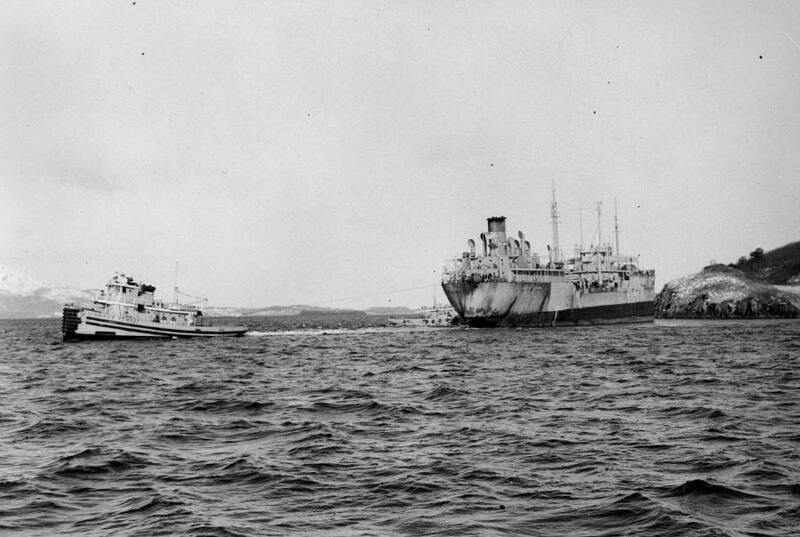 73k Nanigo (YTB-537) and an unidentified tug working to refloat a grounded tanker in the area near Adak Island, date unknown. 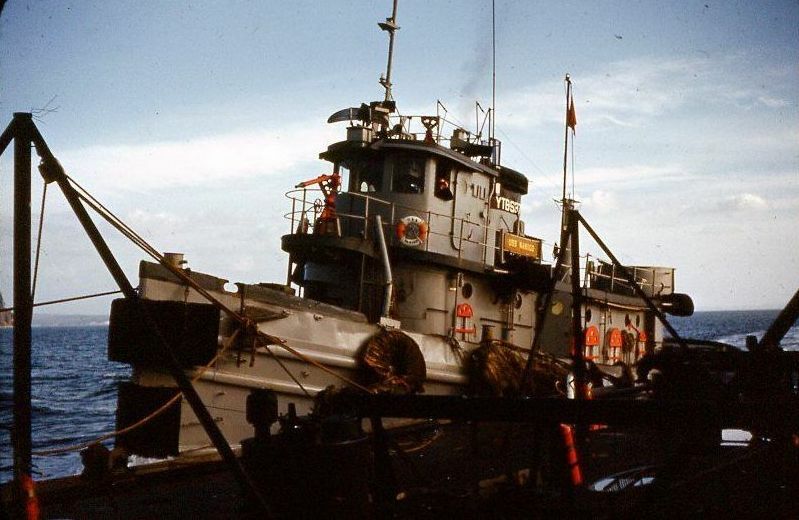 80k Crew of Nanigo (YTB-537), likely at Puget Sound Navy Yard, late 1950s. 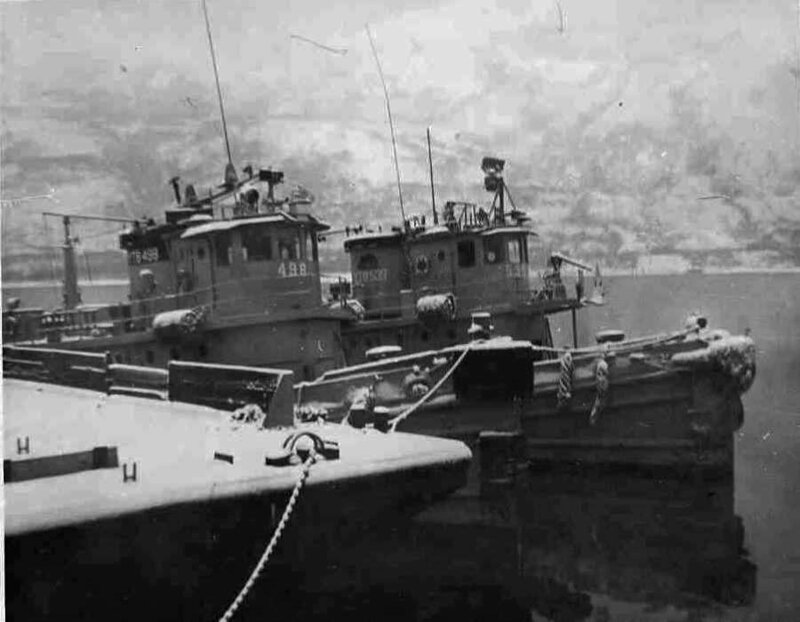 Note USS Mount McKinley (AGC-7) in background. 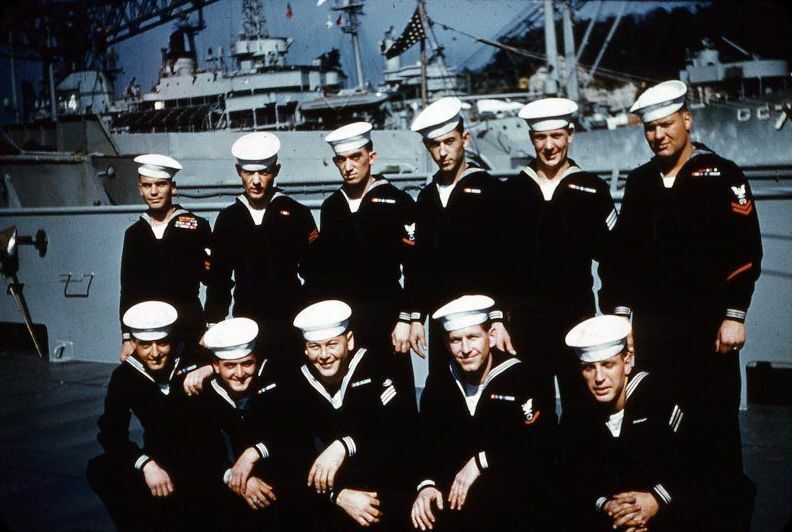 Leslie Ross Powell is top row, far right.